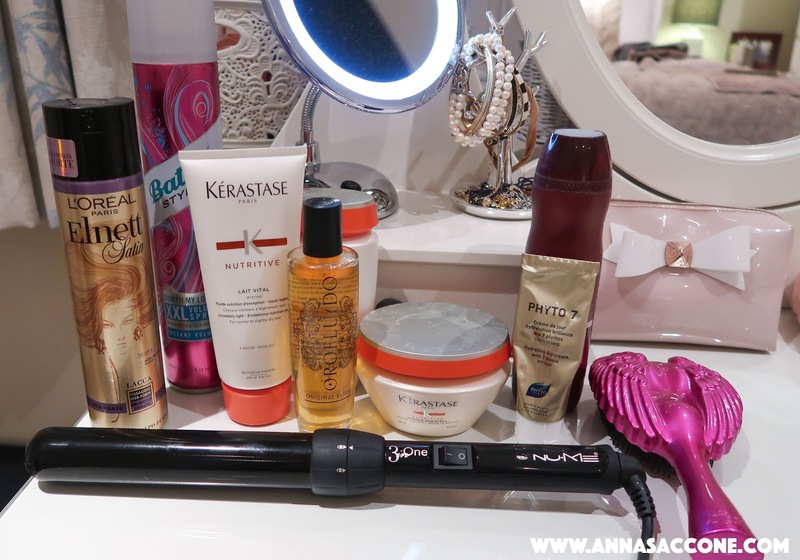 Here's a little look at my favourite haircare products. I actually have a pretty low maintenance hair routine and feel almost embarrassed when people ask me for tips or to make videos/tutorials on my hair. The main reason for that is because I do the same thing pretty much everyday...and have kept that relatively consistent for years! The most frequently asked question I get is how do I grow my hair or do I have any tips on how to get long hair fast. I honestly don't think I do anything special and a lot of it is down to genetics/your natural hair type. My hair grows like a weed, it's very thick and tends to be on the dry side so I don't need to wash it everyday. Having said that, I do believe that limiting the use of heat on your hair will help it grow, along with not over washing it and a healthy diet. I am currently also taking prenatal vitamins which include a fish oil supplement as well and I'm sure that helps with hair/nail growth. I wash my hair twice a week and almost never use a blow-dryer. (I've actually given mine to the kids because I don't use it at all anymore!) I use heat on it around twice a week by curling it the day after I wash it but then I leave it the other two days as it holds curl pretty well. Let's start with the products I use in the shower. 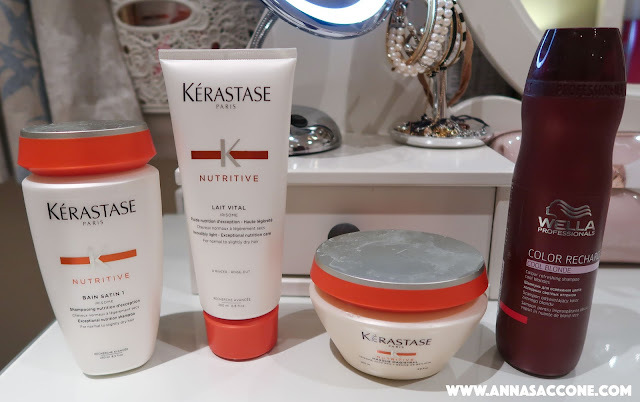 My current favourite shampoo & conditioner are from the Kerastase Nutritive range. I use Bain Satin 1 shampoo and Lait Vital conditioner, then once a week I use the Masque Magistral in place of a conditioner as a treatment. I leave this in for about 3-5 minutes and when I brush my hair out after my shower it makes a huge difference! Usually my hair is quite textured and knotted when it's wet but after using this mask it brushes out really smoothly. Then if I remember to about once a month I use the Wella Colour Recharge Cool Blonde which is a purple shampoo that helps my highlights from turning brassy looking. 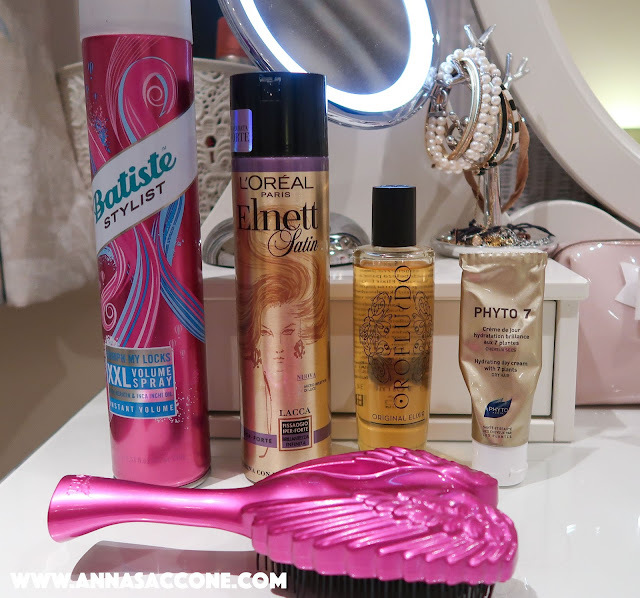 These are my favourite products I use to style my hair. When I get out of the shower I typically towel dry it and put it up on top of my head while I moisturise, apply my skincare, brush my teeth etc. Eventually when it's about 10-20% dry I take it down and brush it out. I used to use the Tangle Teezer but was recently sent this Tangle Angel brush to my PO box and have been liking it a lot. (We actually got one each, including the kids and dogs!) Then I apply a small amount of Phyto 7 Hydrating Day Cream to the ends of my hair and sleep on it damp. I always wash my hair at night so the following morning when I wake up it's about 80-90% dry and naturally wavy. The following day I normally style my hair using the Nume 3 in 1 Curl Jam wand with the largest barrel. I basically just curl my hair away from the face (I have about a million tutorials on this already on my YouTube), spritzing with L'Oreal Elnett hairspray as I go to hold the maximum curl and ensure it lasts for the next few days. I also apply a hair oil to the ends and my current favourite is Orofluido Original Elixir which smells like a dream! On the next two days I spray the roots with dry shampoo (my fave is Batiste Heavenly Volume, not the one pictured as I've run out), brush it out with the same brush and then apply some oil to the ends if necessary. And that's my entire haircare routine! I hope this helps answer your questions. I also find it's the best low-maintenance routine for lazy girls like me as there's only really 15-20 mins of styling every three days which makes it very easy. Let me know what your favourite hair products are! Really love ur blogposts! ❤️☺️�� So happy about the new style of ur blog tho.. I love that your hair routine isn't super complicated. Your hair is beautiful. 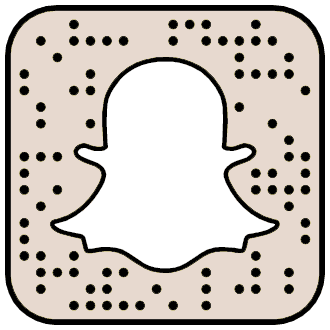 Thank you for sharing this; I enjoy seeing what you're currently using! I love the Phyto 7, it's really great for people with long hair, as our ends can get quite dry. Also the brush is adorable! Your hair always looks gorgeous Anna! I wonder when the new girl is born if you'll cut it shorter again?! I love Kerastase, my hair always feels amazing after using it! If you love dry shampoo and want a little splurge, go for the Oribe Texturizing Spray. It's is clear so it never looks filmy and it smells amazing! I bought mine over a year ago and there's still about a third of the bottle left. I'm also in love with Paul Mitchell's Awapuhi Moisturizing Lather Shampoo. It's sulphate free but the lather in it is still amazing. I also use the Oi Oil by Davines. I like it because you only have to apply it once each time you wash you hair (instead of every day). Love your videos! Keep posting! Great post! I also love Batiste dry shampoo, it's the best! 😍 This Tangle Angel brush looks amazing! 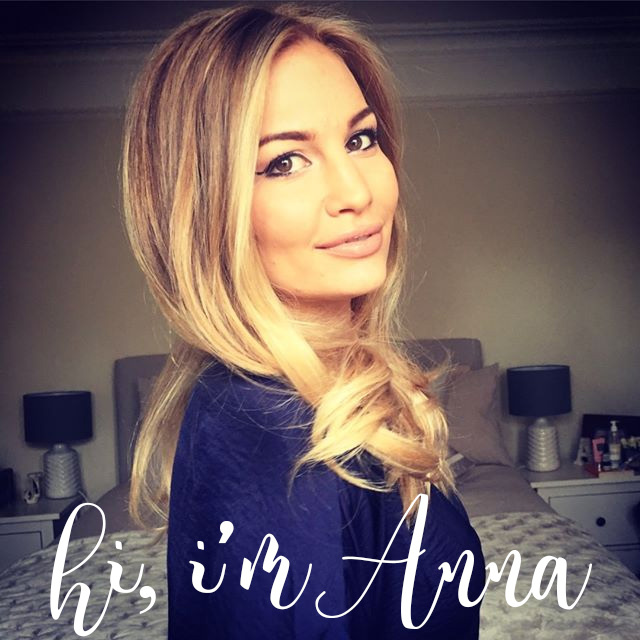 Your hair is beautiful Anna thank you for sharing the products you use . I don't think we have that type of Batiste in the US, but I'd love to try it! My haircare routine is pretty simple too! Anna do you put your hair up at night to maintain the curl then or just sleep on it? Also, if you put it up, is there a specific elastic you use to prevent it leaving a mark or damaging your hair? Gone are the days of endlessly searching for haircare products, once you start using KMS California products.